I liked Dishonored a bunch. It took familiar mechanics and introduced several new twists to those, then topped it off with fresh options on how to put it all together. I tried it out as a standard combat-based game for a bit, but like any good obsessive the chance to make it through an entire area without a single person seeing me was appealing. It meant that most of my time was spent replaying the same sections over and over and over again, but it was worth it for that one moment when you completed an area and could proudly look back at your enemies with middle fingers held high, knowing they wouldn’t be offended because they didn’t even know you were there. 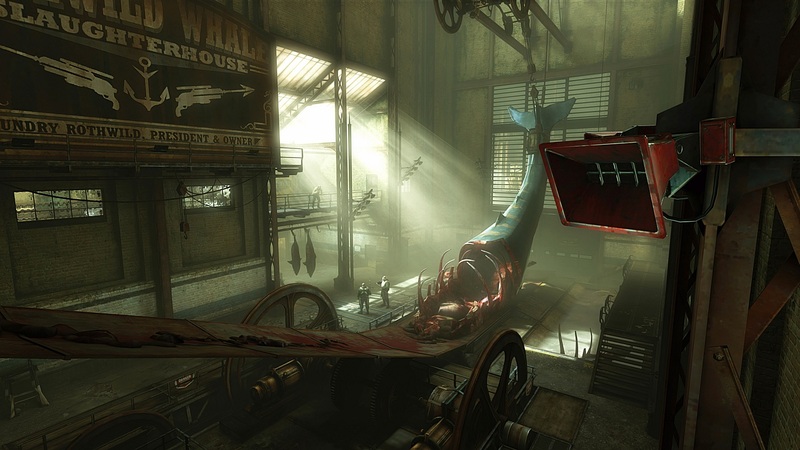 Dishonored plays with the typical convention of the FPS, and does it well. It presents unique tools that let you handle things in a way you haven’t quite seen before. The story was on the weak side, but the narrative was really just there to give you an excuse to explore new gameplay options. That doesn’t mean the story was bad, it just wasn’t the driving force of the game. The same is true of the new DLC, The Knife of Dunwall. Knife puts you in the role of Daud, the assassin that killed the Empress at the beginning of the vanilla campaign, an action that Daud has come to regret. Shortly after that act the mysterious Stranger, the being that gifted Corvo, Daud, and a handful of others with their powers, tells Daud that he should seek out “Delilah,” but gives no other hints as to why or even who that is. 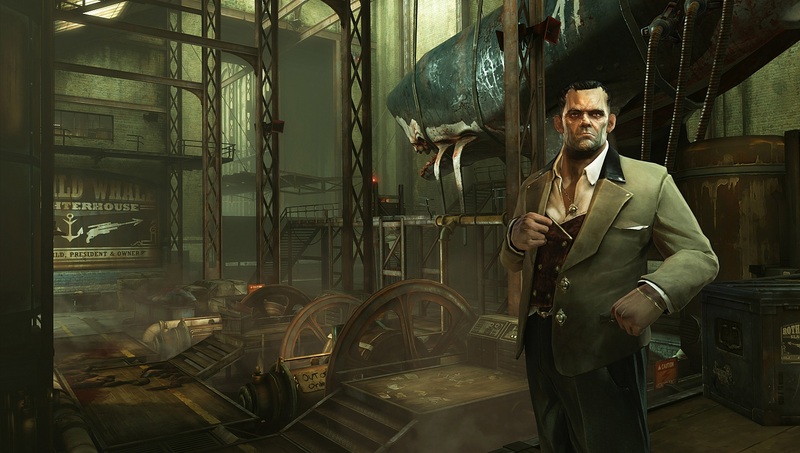 Daud’s search eventually takes him across three new areas of the city of Dunwall, each with multiple sections. Like Corvo, Daud has several fantastic – and unique – abilities. Daud is missing a few key powers that Corvo has, like the ability to possess, but instead he can call on assassins and even level them up so they have their own abilities. Corvo is the stronger character, but it really is mostly a tradeoff. Each area offers Daud plenty of mission goals as well as a handful of optional objectives – some of which you can get a leg up on by buying help before the mission. This help might come in the form of a safe combination left out for you that allows you to complete an optional objective, or it may offer you a new rune. As with the vanilla game, the way you play will change the options presented. If you decide to spare a target, you may not have the option to destroy something that would inadvertently kill them; or you may kill someone before they can tell you information you need to complete another objective that won’t be available to you after that. The optional missions are not always apparent either. Some may require you to explore and find documents or talk to a person you had no idea was there before they are triggered. How you play is up to you, and there are options that suit all playstyles. The areas are big and have multiple points of ingress, so there are options there as well. That also makes it tough to say how long the DLC is. If you want to burn through it and kill anyone in your way, you could conceivably make it through in 2-3 hours at most. If you play stealth, however, it will take you longer. Daud starts out with only a few powers, just as Corvo did at the start of the game, so his abilities are initially limited. Things like teleporting using the Blink power have limited range at first, and you’ll have to work up to earn abilities like bending time. That can make it tougher to go stealth at first, and requires patience to learn the patterns. In that case, the game takes much longer. That shouldn’t be anything unfamiliar to Dishonored fans though. And that’s where Knife succeeds. It is more of the same, but with just enough of a twist on it to make it feel like an important and justifiable addition to the game. There is a catch though. The Knife of Dunwall is the first of two DLCs, the second of which, The Brigmore Witches, will conclude Daud’s story. No release date has been given yet. Since the game is so heavy on the gameplay side it’s forgivable, but if you are in deeply into the narrative you may want to wait for the conclusion – even though the cost may a bit prohibitive. If that isn’t an issue though and you just want more Dishonored, The Knife of Dunwall is for you.